My latest travel adventure took me to Madeira and wow what a beautiful place it is. I did not know much about the island at all before visiting, but since returning I have been telling everyone who will listen to visit. 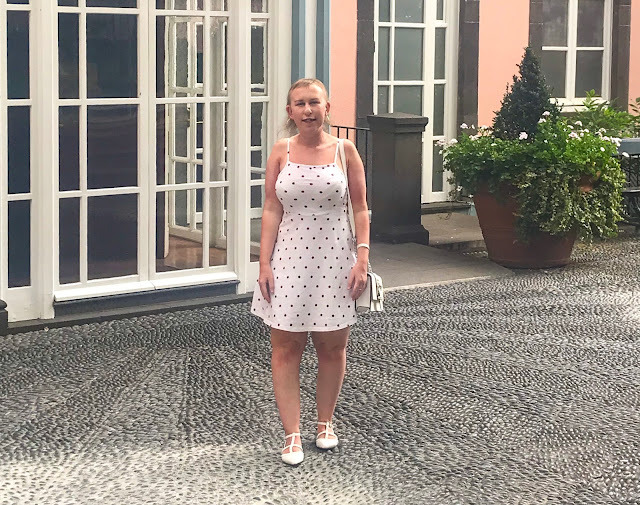 Whilst staying in Funchal which is the capital of the island, we were recommended to visit the five stars Reid's Palace Hotel for their afternoon tea experience. We decided to go one afternoon and it was so delightful, we all had such a wonderful time. We had been told that it is pretty fancy, and it really was. Even during the day it is evening attire and they are pretty strict with their dress code. We arrived for our afternoon tea and we were a little bit early, so we were told we could take a wander around the hotel and their grounds. It has some beautiful decor and we were all wishing we could afford to stay at the hotel. After a quick Google search we discovered that it was very much out of our price range starting at €340 a night for a classic room going up to €900 for a suite, but if you want a luxurious trip then this hotel would be perfect. At time we had booked we were invited onto the balcony for our afternoon tea sitting. It was beautiful and the balcony overlooks the island which was so pleasant and tranquil. The first course was the sandwiches and all the staff were lovely and very accommodating as we did not like all of the fillings. We were informed at the start that you can order more of the same course if you want to. I think we got swept up in all of the excitement and we decided to go in for round two with the sandwiches. Next up, were the scones. They were just how I like them and they came with a variety of jams and a perfectly made clotted cream. 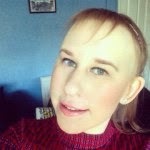 This was probably my favourite round! When you first arrive at your table they give you a menu with lots of different types and blends of teas. You are able to have other drinks if you prefer. I decided to go for the Reid's traditional tea which I really enjoyed, as you can see from the picture the teapot is rather large. You also get bottomless tea which was great as you could different types throughout the afternoon. After the scones came the cakes. I have to say me and mum were originally the most excited for this round for all the reasons you would expect. The cake selection was massive, and we didn't know where to start. The little fruit tarts were my favourite. As you would expect they were all very fancy, and some of them a little too much and I just couldn't face them all. Don't worry though between us all we at least managed to try them all! When you book for the afternoon tea which costs €35 per person you do get told you get 2 hours at your allocated table. They were really relaxed with this which was really great as we still had a few cakes to get through at the 2 hours mark. They were not offering you another round of cakes which is obviously totally acceptable, as they do have three set times of sittings for the afternoon tea in a day. It was not a cheap but it was a lovely day out and we all thoroughly enjoyed it. The food and tea were all lovely, and the view was the perfect setting. We all went back to the hotel very full, but all very happy. It is located just on the outskirts of the centre of Funchal but it is very easy to get to as throughout Madeira public transport is great. We were very lucky that Reid's was only a 10 minute stroll from our hotel.